It often happens that for the urge of creating something exceptionally great, we create in a rather complicated design. We (designers) usually consider the patterns and trends while designing and compromise on the usability of the design. It is advisable to stop and analyze the value that your efforts will add to your design to ensure a flawless ride for your application users. A successful application boasts an appealing and highly usable design, and leaving any of them behind will hamper the success of your application. The ultimate key to ensuring a harmony between an impressive design and its value is to avoid the common UX design blunders. In this article, I have enlisted some crucial UX design blunders, which are required to be handled cautiously. By taking care of these points, you can improve the usability of your application while implementing latest design trends. Let’s explore the list of common and critical UX design mistakes. The UI design trends include low color contrast. While a cautiously designed UI with low color contrast can create a visually appealing interface, it can ruin the design if not handled appropriately. Thus, it is essential to keep the usability in mind and shun away the common blunders while working on the color contrast. Here are a few useful tips for your consideration. Don’t use low color contrast in the body text. – Using the low color contrast can give a hard time to your readers in understanding the content. Especially, the thin text must be avoided with low color contrasts. It affects the legibility of the text. If you are interested in experimenting it in your design, it is advisable to apply the low color contrast in the main body copy. However, it can’t be gainsaid that a well-implemented contrast can create a pleasing and aesthetically rich UI. Thus, it is better to gauge it beforehand and don’t forget to test the readability on different devices that you are primarily targeting. This point leads to the second tip. Test the contrast beforehand. – User testing before launching the application is pivotal to avoid any glitches in the future. This statement stands true from the development as well as the design perspective. Although the user testing is not time and cost effective, but its benefits can’t be overlooked. Moreover, there are several resourceful tools, like Colorable, which facilitate one to set an optimal color contrast for text. Once you are done with the designing, you can run user tests to ensure an intuitive and interactive design that can be accessed with a flair. There are many professionals who often get confused between UI and UX. While both UI and UX come under the designer’s umbrella, there is a thin line between the two. If you are not clear with the concepts of these design discipline, you can deliver a disastrous design. The UI – user interface design is the design with which users interact and perform actions. It includes buttons, navigation, content, etc. And, the UX – user experience design includes the things that evoke emotions to the users, it could be positive or negative based on their experiences. Positive experience reflects that users can understand the design and thus, perform actions instantly and efficiently. It, thus, can be said that a good UI helps generate great UX. In order to deliver a worthwhile UX, one needs to consider several design aspects, including visual consistency, usability, content planning, and information architecture, to name just a few. Therefore, it can be said that if a product delivers a marvelous UX, it must possess a great UI. However, the reverse may not be true. You can keep a track of your design and analyze whether you are endeavoring in the right direction or not by performing the usability testing thoroughly. Rather than focusing on certain technicalities, one must consider the overall user experience. It is advisable to begin with the content, research your target audience and generate an interactive site map. Since, prototypes can help you scrutinize the complete flow of user experience, you can use any digital prototyping tool for creating a resourceful prototype; there are many proficient tools available out there. 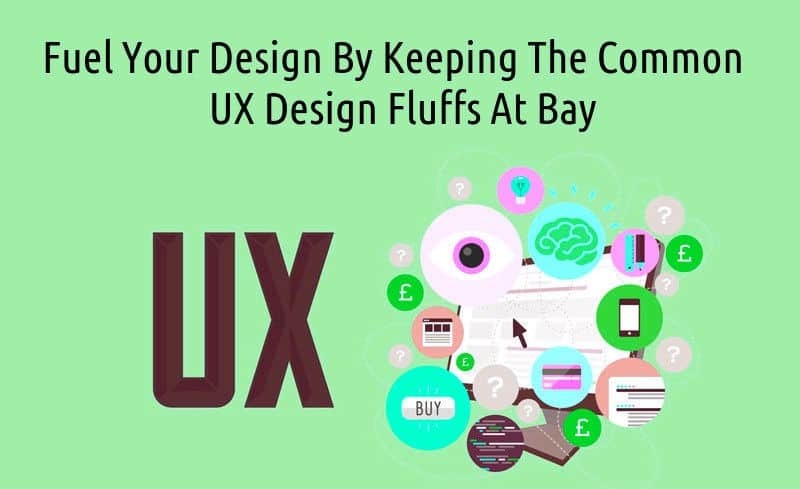 It has been observed that beginning with the content structuring, followed by interaction design and visual design can help you deliver an outstanding UX while adapting a fabulous UI. Usability testing is paramount to ensure a surefire performance of an application. It can help you improve the usability of an app, and thus, add to its credibility. This is why it is always recommended to run a usability test before releasing your application publicly. There are numerous applications that despite offering great functionalities failed due to poor usability. By running the usability tests, you can understand the user behavior and uncover the design flaws that are annoying users. You can then accordingly revamp your app to ensure a flawless user experience. You can shun away the users’ frustrations by keeping the below-mentioned points in mind. Is your app easily navigable? – Check the number of taps required to move from a place to another. If it can be reduced, make it as minimum as possible. Also, ensure that the CTA (Call to Action) buttons are eye catchy and easily accessible; doing so will help you enhance the navigability of the application. Scrutinize the process success rate. – You can evaluate the task success rate of your application by considering some factors like navigation, error recovery, memory recall, and so forth. There are some handy guides available on the Internet for analyzing the success. You can choose a reliable source and learn the ways to accomplish it efficiently and effectively. It would be great if you can get a real user to test your design. You can observe his interactions and determine where he is making mistakes. It, thus, allows you to overhaul the design in a required fashion. Improvisation is great, but it must be done while taking your target audience into account. And, if you can understand the psychology of your users, you can definitely deliver an outstanding UX design. However, make sure that your design is simple, and inspires emotions and fosters reliability. I have uncovered a few of the common UX design blunders in this article. Whether you are a professional UX designer or wants to begin your career in app designing, I hope that steering clear of these mistakes will help you ensure a better career with incredible UX designs. This entry was posted in 'corePHP', User Interface and tagged Design, UI, UX on December 30, 2015 by Addison Cohen.